Make It Handmade: Sew What's New! I know it's been a while since we've had a Sew What's New post... but there is just so much fun going on in the sewing world I just had to share! 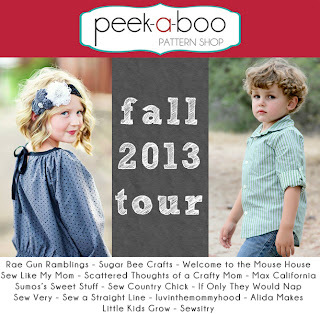 First... Peek-a-Boo Patterns is having their Fall Pattern Tour! I've been so impressed by everyone's outfits so far. You'll be able to see my version of the Audrey Dress tomorrow at Sewistry! I'm actually kind of nervous, and I do hope ya'll like it! Psst... Amy just came out with a new Denim Jacket pattern. How neat! Buy from this link to support MIH! Also... Project Run and Play is off with a bang! 5 talented sewists took an Oliver and S pattern and ran with it. It's amazing what you can do with one pattern! Check it out, and don't forget to vote when you stop by! 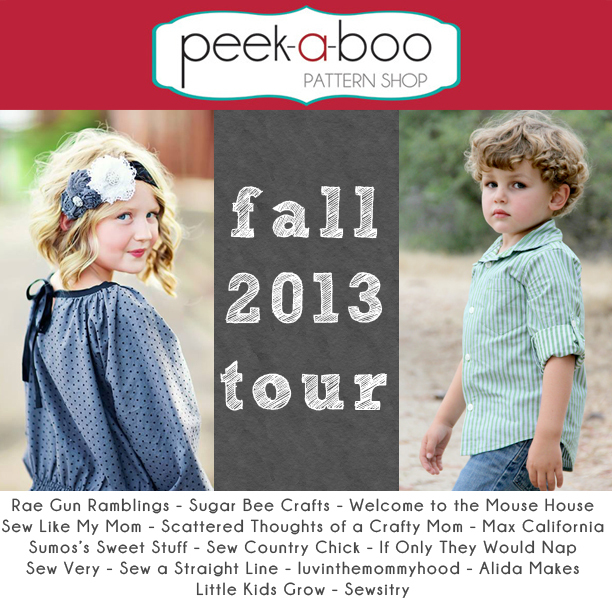 Next... have you seen the new Sewing Rabbit Team Fall Collection? My contribution is the the Paleontologist Pack-- it's a messenger bag for all those dino obsessed tikes out there! I can't wait to show you the rest of it! Anyhoo... Jess has some fun things planned for the collection-- stop by the Sewing Rabbit today to see how you can get involved!